The ground for day three of the Cheltenham Festival looks sure to be soft and quite holding although there are a couple of showers forecast which might help the horses go through the ground. 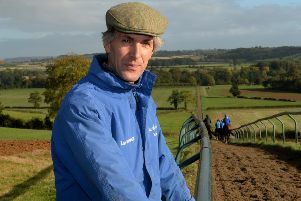 The ground is perfect for Vinndication in the opening JLT Chase, but I feel Kim Bailey’s chaser is better going right-handed and if he couldn’t beat Defi Du Seuil and Lostintranslation (1.30) at Sandown I don’t expect him to reverse the form this afternoon. The score between Defi Du Seuil (11/4 at BetVictor) and the selection currently stands at 1-1 but the hope is that Lostintranslation’s superior jumping will be the deciding factor in what promises to be a cracker. The Irish have won seven of the eight renewals of this race, but I feel the prize will stay in Britain this afternoon. Preference for Lostintranslation (3/1 at BetVictor) is marginal although connections do feel he could make up into a Gold Cup contender next term. 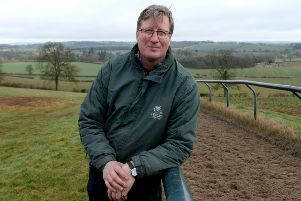 I have backed Sire du Berlais (6/1 at BetVictor) for the Pertemps Final, but confidence has waned after the form of the Gordon Elliot horses on Tuesday. If there is an upturn in the stable’s fortune on Wednesday then I would be confident of a bold show from the hurdler, but without that knowledge to go on I will reluctantly bypass him. The each way vote goes to Champers On Ice (2.10) who made a promising reappearance from a 428-day lay-off when fourth in a qualifier at Haydock last month. David Pipe saddled the winner of this corresponding race in 2010 and 2011 and is 18/1 at BetVictor who are paying five places on the race. I saw a picture from the Cheltenham weighing room of Rachel Blackmore and Byrony Frost sharing a joke before the former did us a favour when landing the Close Brothers Handicap Chase with A Plus Tard on Tuesday. Two days later and I wonder if the pair will get embroiled in a battle for the lead as they ride Monalee (9/2) and Frodon (6/1) respectively - two bold front-running chasers in the Ryanair Chase one of my favourite races of the week. When you add former winner Un de Sceaux into the mix, the suggestion is the race will be run at a frantic pace and that might suit Road To Respect (2.50) who is, arguably, better at three miles but should be staying on while others have cried enough. Noel Meade’s eight-year-old gets the each way vote at 9/2 with BetVictor. The feature race is the Stayers’ Hurdle and Paisley Park (7/4 with BetVictor) is many people’s banker of the meeting and I certainly wouldn’t put anyone off Emma Lavelle’s hurdler who has been the outstanding staying hurdler of the season and is the most likely winner. I will be backing Black Op (3.30) each way, however, although I appreciate he has plenty of ground (14L) to make up on the favourite on Cleeve Hurdle running back in January. The selection was going very well at the top of the hill on that occasion, having raced wide, and I thought when he finished runner up in the Ballymore (2m 5f) to Samcro last season that he would appreciate a step up to 3m. At 14/1 with BetVictor - four places - I hope he can reward each way support. I have already advised that I have backed Kalondra (4.10) ante-post each way for the Plate and seen his price contract in the last week (now 14/1 at BetVictor 5 places) although confidence is waning as I am not convinced the likelihood of tacky ground will suit Neil Mulholland’s eight-year-old. The novices’ Azzerti (16s) and Spiritofthegames (10s) are two others I am interested in at a double figure prices in what looks another desperately tough handicap. Willie Mullins saddles seven in the Mares’ Novices’ Hurdle but I was fortunate enough to be at Kempton when Epatante (4.50) made her British debut and she gets the vote despite wearing a hood for the first time. The selection (11/8 at BetVictor) can be keen and this is the first time she has raced left-handed in Britain, but she can give Nicky Henderson another Festival winner. For Sire Du Berlais in the Pertemps Final read Measureofmydreams in the concluding Kim Muir Handicap. The latter is another Elliot-trained runner who would be a confident each way selection (6/1 at BetVictor) if the stable are still in the form they have been for the vast majority of the campaign. Without that information I feel No Comment (5.30) can reward each way support for Philip Hobbs at 10/1 with BetVictor. Mark O’Hare didn’t have much luck aboard Chef des Obeaux in the Natoinal Hunt Chase earlier in the week, but he is a talented pilot and I would be disappointed if he didn’t have a very good spin. Sky Pirate is another to consider in a another hugely competitive handicap.